Unlike the previous two days of the winter session, BJP members, all charged up, stood near their seats and shouted in unison: “Rahul Gandhi maafi mango” and “Rahul Gandhi jawab do”. 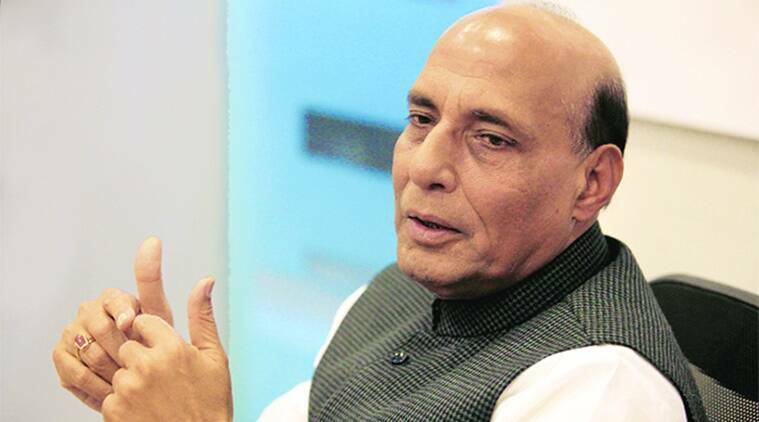 Home Minister Rajnath Singh on Friday demanded in the Lok Sabha that Congress president Rahul Gandhi apologise on the floor of the House for “misleading” the country on the Rafale jet deal issue. Buoyed by the Supreme Court’s dismissal of petitions seeking a probe into the purchase of Rafale fighter jets from France, the government launched a counter-offensive on the Opposition in Parliament. The two Houses were adjourned for the day amid sparring between the treasury and the Opposition benches on the issue. The Lok Sabha was first adjourned till noon as the House failed to take up question hour due to the din and later for the day as members from the treasury benches and Opposition shouted slogans. Even before proceedings got under way, members from the Congress, AIADMK and TDP came to the well and took to sloganeering and waving placards. The Congress sought a Joint Parliamentary Committee (JPC) probe into the Rafale deal, while AIADMK members protested on the Cauvery water dispute. TDP members demanded special status for Andhra Pradesh. The Rajya Sabha, too, witnessed intense sloganeering by the ruling BJP and opposition Congress members, leading to adjournment of proceedings. Amid the protests, Leader of the House and Finance Minister Arun Jaitley was heard saying that the Opposition has been demanding a debate on the jet deal and so question hour should be suspended to take up the issue. When the House assembled for zero hour, SP members raised slogans over the recent violence in Bulandshahar, while AIADMK members trooped into the well over the Cauvery water issue. Members of treasury benches raised slogans demanding an apology from Rahul for his alleged lies on the Rafale issue, while Congress members entered the well to demand a JPC probe on the issue. Deputy Chairman Harivansh adjourned the House till 11.30 am. However, as the protests intensified, he adjourned Rajya Sabha till Monday.